Happiness is a multi-billion dollar industry. People need help. And in this day and age, they need help navigating a veritable maelstrom of self-help options. Mindfulness workshops. Gratitude challenges. These wellness communities have sprung up all over, well intentioned, but not necessarily effective. Inner-strength and calm is a personal quest, made more elusive and difficult than ever before with the frenetic conditions we call modernity. It’s no laughing matter. 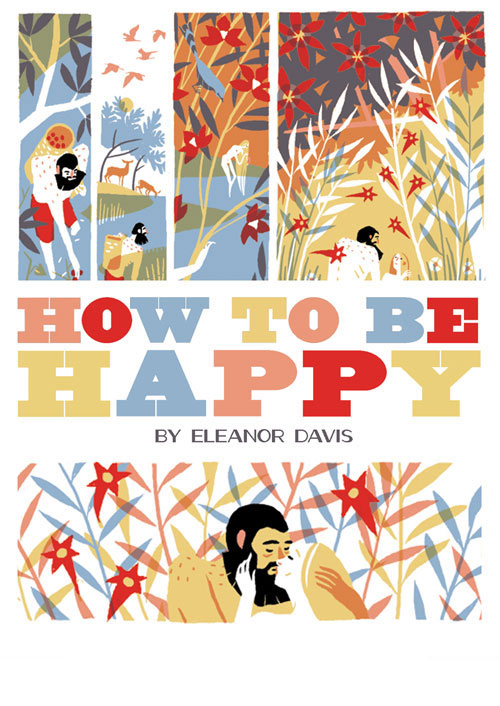 But reading Eleanor Davis’s How to Be Happy might help you to do just that. Laugh.